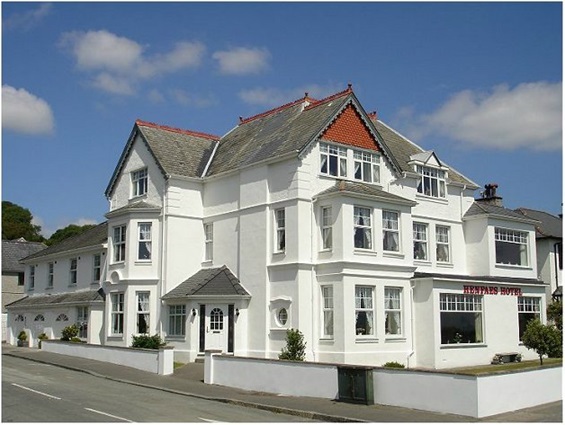 Henfaes is a family operated Private Guest house Boasting a 5-star rating and gold award from the Wales Tourist Board. Same family for over 40 years. We have 5 luxury suites for a maximum of 10 guests. There are Fantastic Sea and Mountain Views. Stay for a week get a day free. Sandra and Colin - Thank you for an amazing weekend. Everything was just perfect. The accommodation, food and hospitality. A lovely family. Highly recommended. excellent hosts. The best hotel we have stayed in. Will be back. I have just booked a room with you for 3 nights, if there is any chance of a seaview that would be great. Just enquiring if you have a twin room for saturday 6th September 2015. Thanks. Once again a great stay here in a great hotel. We were looked after very well by Peter and Dorothy also David, looking forward to our next visit in September. Thank -you for your recent message re:availability.Could my wife and I stay with you for 3 nights in a sea facing room commencing 17/08/2015.